CYPT offers discount student matinees for most of our productions! Learn more about this season’s matinees, and then fill out the form at the bottom to make your booking request. All performances are held at West Village Theatre, which seats approximately 84. In some cases, larger groups can be accommodated. 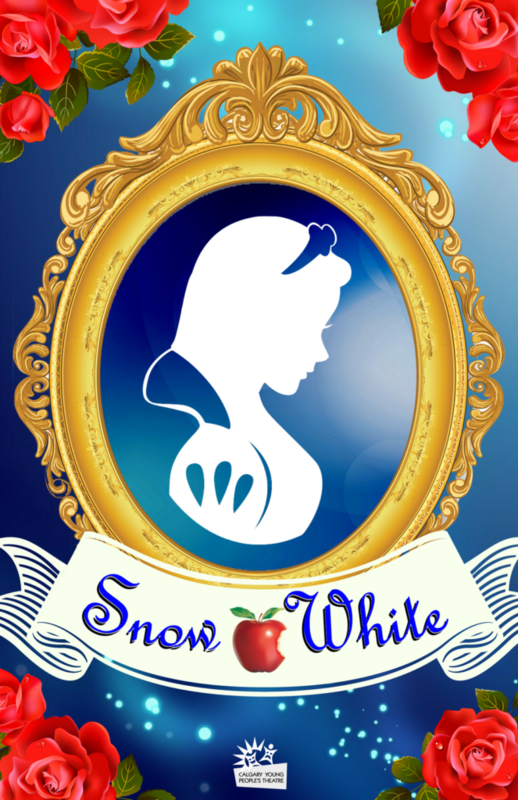 Snow White has led a pretty easy life, but when her jealous step mother decides to get rid of Snow White, she’s forced to flee into the woods and take up hiding with cottage of quirky and hilarious dwarves. But her stepmother has a magic mirror and is determined to find and finish her… Will she escape her stepmother’s envious magic? Can she resist a bite of that shiny red apple? A sparkling, touching, and hilarious new adaptation of the classic Grimm’s fairy tale! *SPECIAL SPRING BREAK PERFORMANCES, ideal for homeschool and private school groups: 2pm matinees on March 25 and March 26. Price: $10/student. Adult chaperones get in free. To book your matinee, email admin@cypt.ca today!